WHERE: Anarres Apothecary, 1076 Bloor St West Toronto M6H1M6, north side, 1 1/2 blocks EAST of Dufferin subway. What are perfume oils and flower waters and how are they made? What do perfumes do for us mentally, emotionally and physically, and how do we know this traditionally and scientifically? In this hands-on workshop, the ancient art of perfumery meets the contemporary science of aromatherapy. We'll sample dozens of essential oils and discover why and how they work. 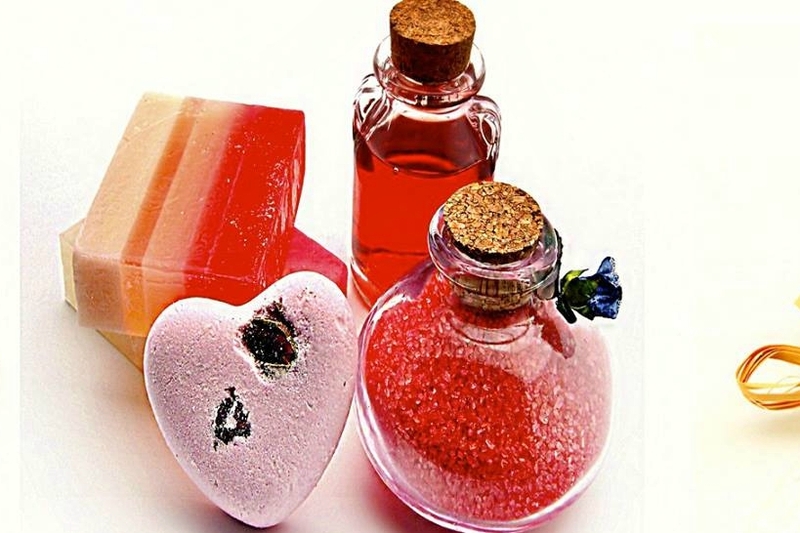 • The principles of perfumery and the secrets of "Notes"
You'll go home with 5 custom products created on the principles of ancient perfumery using the information of contemporary science - a $200 value! There's no introductory workshop like this in the city! All materials, take-home items, packaging, handouts, recipes PLUS LUNCH are included. I'm so happy I took the Joy of Scent workshop yesterday!! It's a miracle that now I'm able to make excellent-smelling Essential Oil blends, which have a purpose. When I got home last night, I opened up several of my previous 'fails' - which I had done my best to make, having researched online various properties, and added missing Top, Middle, and Base notes, which I had learnt about during the workshop, and now those previous 'fails' are now 'wins'! Yay! Highly recommend this workshop! * By cheque or money order mailed to Anarres Apothecary, 1076 Bloor St West Toronto M6H1M6. We have a small fund, the Co Immunity Fund http://www.anarreshealth.ca/content/donate-our-co-immunity-fund-communit... to help people afford to participate fully in our workshops. Our Intro Workshops are either offered free or by donation or cost $10 for materials + Pay What You Can at the end. We ask that you participate in at least one Intro workshop before you apply for a subsidy for a full-day workshop. We ask that you pay the non- refundable materials cost of $50, in instalments if you need to. We invite you to apply for up to $150 in subsidy. Please ask only for the amount you need in the "Tell Me More" section of the form. It helps if you let us know about your income and expenses, and why you want to participate in the workshop. We will let you know what we can offer you as soon as possible. If we haven't received your payment or your registration order was "Stopped in Checkout", we won't be sure if you are coming. Please DO call or email us if you plan to come but haven't prepaid. Please DO register online, but if you can't please call us and ask us to register you in our system. We'll need your name, address and phone number. If we don't receive your payment 7 days in advance, you will be charged the regular rate on arrival: $225 + HST even if you put in an order a week or more ahead of time. If your payment arrived late, you will need to pay the difference on arrival. Repeats every 3 months on the first Sunday until Fri Jan 31 2020 except Sun May 05 2019. Also includes Sun Jun 09 2019.